Ebates App Review... It Never Hurts to Get Cash Back... Right? Ebates App Review… It Never Hurts to Get Cash Back… Right? We all shop, some of us LOVE to while other simply do it because they HAVE to but one thing that remains that same for either “camp” you belong to is… that everyone LOVES to save money! 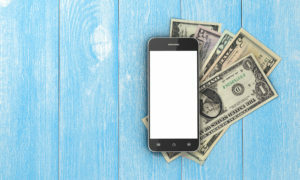 We choose to write a review about the Ebates app and while we could have easily included it in our “money saving apps” article, we ultimately decided to include it in our “money making apps” articles simply because you’re going to need to “spend” money before you “earn” anything back! So, humor us here, because either way you look at it, the Ebates App can certainly help you stretch your purchasing power and thus make you “feel” a little bit wealthier! Ebates was started by two deputy district attorneys. And while this may not be the traditional background one would associate with a “tech” startup, this hasn’t stopped Paul Wasserman and Alessandro Isolani from reaching considerable success. In fact, Ebates was sold for a reported $1billion to Rakuten, a Japanese conglomerate, so you could say that Paul and Alessandro did alright for themselves! The other fact that you can take away from this sale is that Ebates has some pretty deep pockets so you don’t need to worry about them “disappearing” any time soon! Ebates is a site that offers cash back for shopping at certain shops or sites. The Ebates website/app works as an “affiliate” marketing company. Which means they receive a “commission” every time someone goes form the Ebates app to an affiliate store and purchases an item. Unlike most other websites or apps, Ebates chooses to “share” this “commission” with you the buyer. When will you get your cash back? Ebates users get paid within seven days initially. Then, after you keep using Ebates the payments will be once every three months. This can be a drawback for people who want instant cash – or even timely cash. But, the flipside of this is that you might get a pretty sizeable payment once it’s time for the payout, and it’s always nice to get a payment of $200 or more at one go! Think of that feeling when you get a tax return. Feels good, doesn’t it? In addition to cash back, Ebates also offers coupons on many popular items. So as you become more and more familiar with using the Ebates apps, be sure to search for these coupons before you shop to take advantage of these additional benefits. But as you can see, that leaves out a whole lot of other stuff! Our overall opinion of the Ebates App. Overall, Ebates is a simple, straightforward way to save money on things you’re planning on buying anyway. If you can save $20 on a phone or $50 on hotel bookings, then why wouldn’t you?! By setting up an Ebates account, you can save cash and use it for something more important. Which is a great question, and one that we don’t have a problem answering at all. You see, here at TermLife2Go, our primary goal is to help improve the financial security of all of our clients. And while we feel a life insurance policy is a great way to do this (Interested in knowing what it would cost, just click here Term Life Insurance Quotes), we understand that not everyone is going to be able to qualify or afford to purchase a life insurance policy right now. Or we could offer a possible solution that could improve their situation. We choose to do that latter. 101 Ways to Make Money Fast. You should know that we here at TermLife2Go do not receive any kind of “compensation” from the owners of Ebates for recommending their product. In fact, it really doesn’t matter to us if you choose to try the Ebates app our or not. About is that if you’re looking for an “alternative” way to either earn more money or save more money, that you do ultimately find it. And if this article helped you in your search, even better! Previous Post: ClaShot App Review… Perfect for Any Aspiring Photographer! Next Post: AppBounty Review… If You Love Checking Out New Apps… You’re going to Love AppBounty!